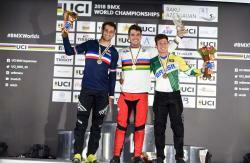 The 2018 BMX World Championships, which stands alongside the BMX Supercross World Cup as the sport's premier competition, wrapped up in Baku on June 9. 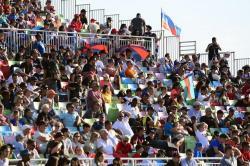 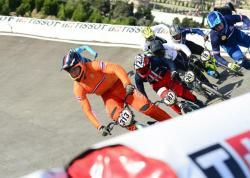 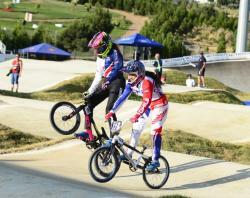 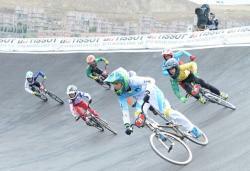 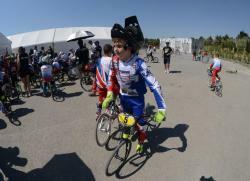 The five-day event gathered more than 1,000 cyclists from 43 countries, who competed at Velo Park in Baku. 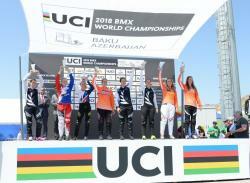 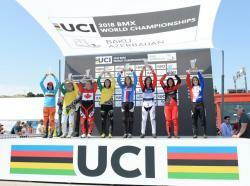 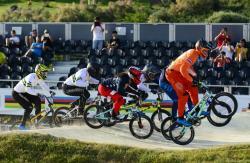 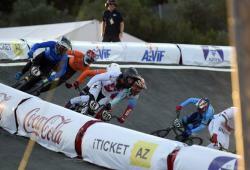 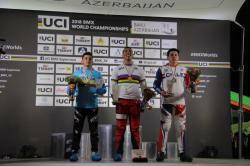 Azerbaijan was represented by 8 cyclists at 2018 BMX World Championships. 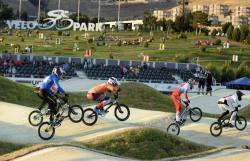 Velo Park occupies more than 30 hectares. 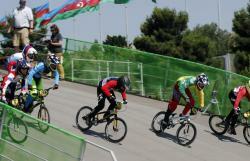 The total length of the roads is 15 km. 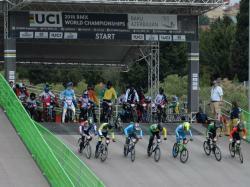 Speed, excitement, risk, uncompromising struggle, falls, injuries - all these vivid emotions captured spectators and participants during the championship days. 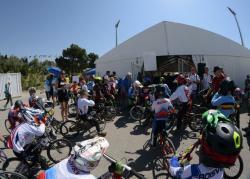 Cyclists competed in several races - among the Juniors Challenge, veterans and youth, and in the Elite category. 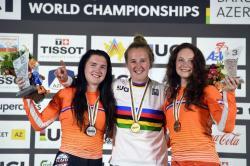 The Netherlands won 22 medals, French cyclists placed second with 17, followed by Australia (13), Brazil (10), United Kingdom (9), the U.S., Latvia, and New Zealand (7). 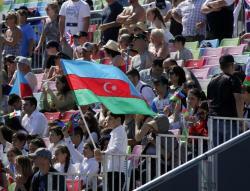 The "Transfer of Flags" ceremony took place on the last day of the race. 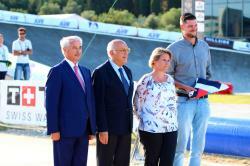 First Vice-President of Azerbaijan Cycling Federation, the Board Committee of the European Cyclists Union Sahib Alakbarov handed the flag to Jeff Simons, the organizer of the 2019 BMX World Championships to be held in Heizden-Zoldere (Belgium). 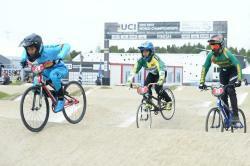 The ceremony was also attended the President of the UCI Remuneration Commission Artur Lopez. 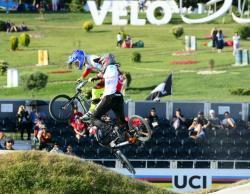 Bicycle Motocross (BMX) started in the late 1960s in California, around the time that motocross became a popular sport in the U.S. 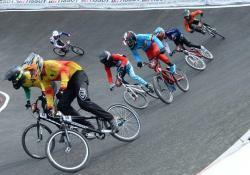 The motorized version of the sport was the inspiration for the human powered competition. 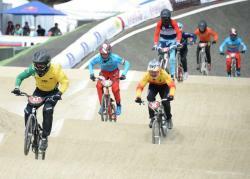 Unlike the World Cup, which is an international racing series held at several locations throughout the year, the World Championships are held just once a year, with the winner of each event crowned BMX Cycling World Champion. 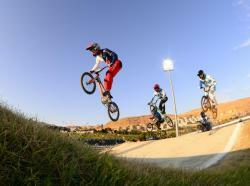 Like many other extreme sports, BMX is divided into many disciplines. 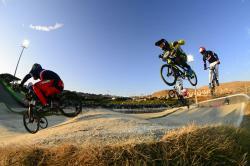 Flatland differs from the others in that the terrain used is nothing but a smooth, flat surface (e.g. 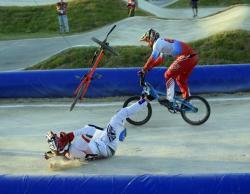 an asphalt parking lot, basketball courts, etc.). 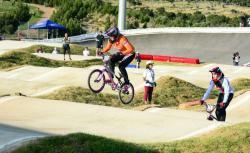 Tricks are performed by spinning and balancing in a variety of body and bicycle positions. 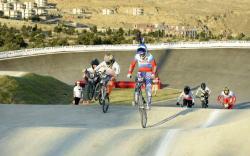 Riders almost always use knurled aluminum pegs to stand on to manipulate the bike into even stranger positions. 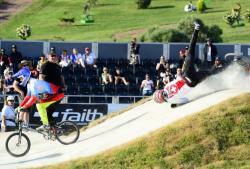 Vert is a freestyle BMX discipline performed in a half pipe consisting of two quarter pipes set facing each other (much like a mini ramp), but at around 10–15 feet tall (around 2.5 to 3.5 meters high). Dirt jumping is one of the names given to the practice of riding bikes over jumps made of dirt or soil and becoming airborne. 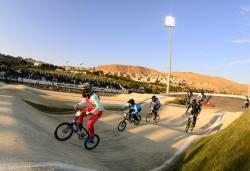 In June 2017, the International Olympic Committee announced that it was to be added as an Olympic event to the 2020 Summer Olympics.